The ‘20s were a big decade for women. Women used their hair to make a big statement about feminism. They cut it short! That’s right. 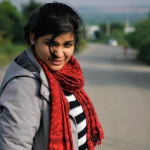 In a world where women were meant to have long hair and become perfect housewives, a few daring women decided to rise and make a change by cutting their hair into bobs and earning their living. Some of the bobs you see now, like the angled bob, were designed back in the ‘20s. 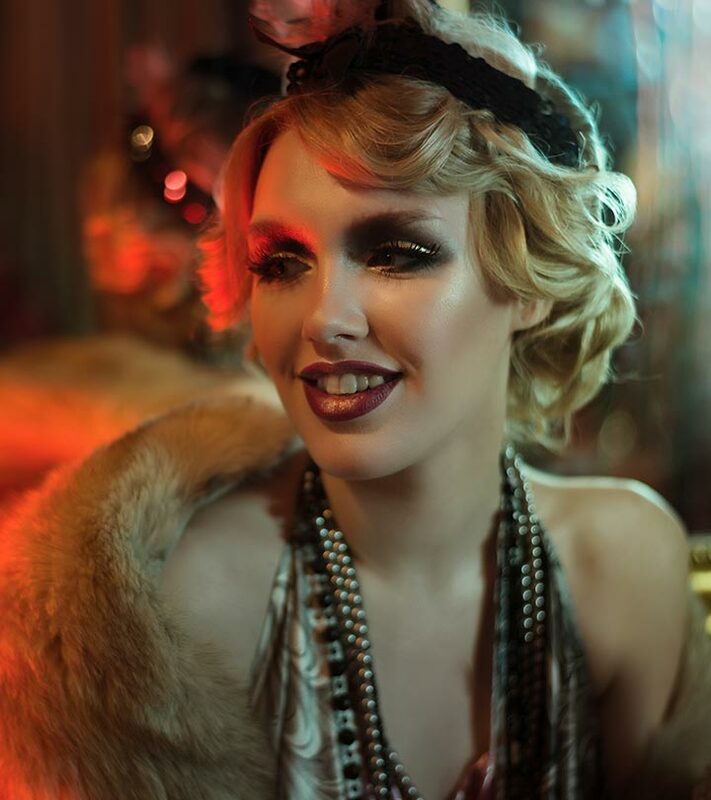 Before we get to the styles, here are a few pointers on how you can achieve the ‘20s hair look. 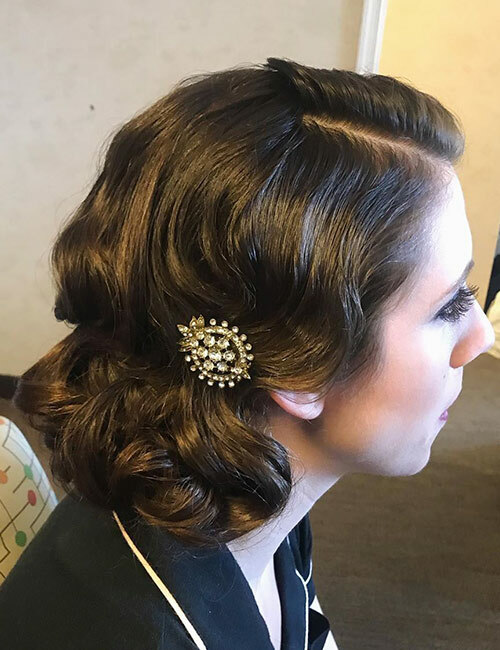 Hairstyles in the ‘20s were all about sculpted curls and waves. Instead of using your curlers or straighteners to achieve the look, opt for rollers or a round brush with a blow dryer. It will make your curls look more natural and authentic for the ‘20s. If you have straight hair, opt for a straight bob with sideburns that are pointed at the ends. You can accessorize it with a thin headband. If you have long hair, opt for a faux bob. Simply curl your hair and spritz on some hairspray. Gather the ends of your hair, fold them inwards, and pin them at the back of your head to create a faux bob. Put on a headband to finish off the look. Now, it’s time for some hair inspiration. 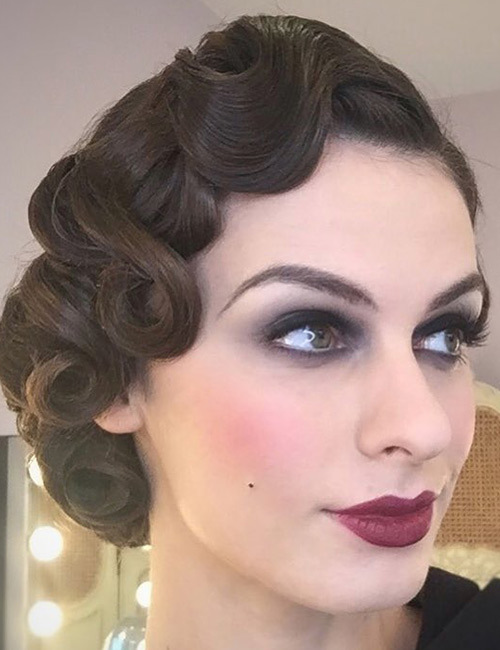 Here are 20 gorgeous hairstyles that will leave you wishing you were born in the ‘20s! Finger curls were big in the ‘20s. With the short hair craze making headlines, sculpted curls were not far behind. Flappers, especially burlesque dancers, sported this hairdo. 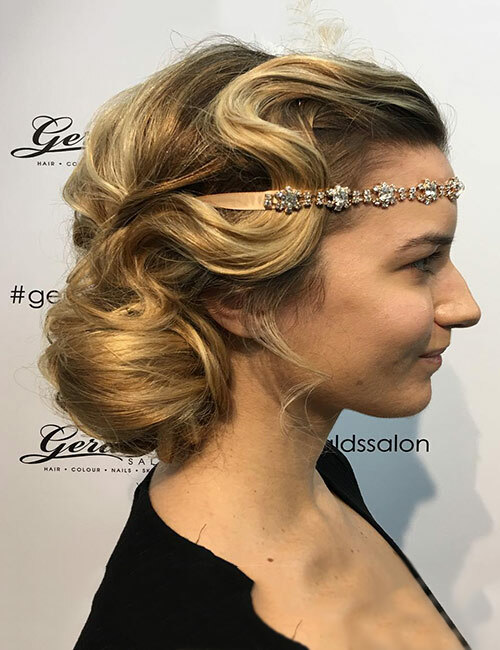 Use lightweight gel or mousse along with velcro rollers to achieve this look. 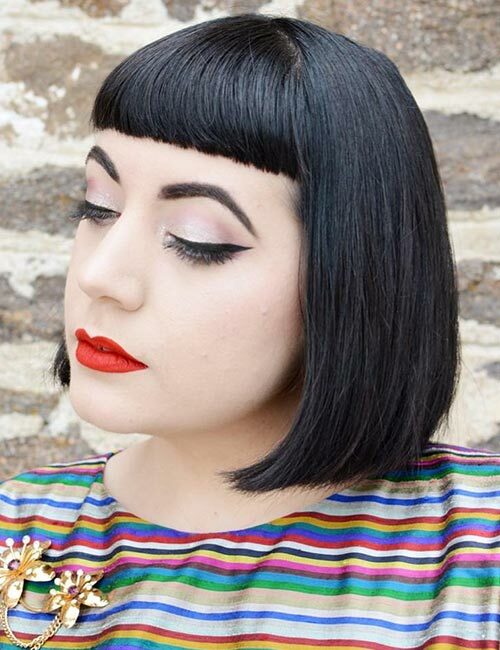 These thick bangs became popular later as Bettie Bangs. These bangs are really stylish, but I advise against getting them if you have wide cheeks. These bangs accentuate your cheeks and jawline. Long-haired women wanted to be a part of the short hair action without having to give up their luscious locks. Thus, the faux bob was born. Curl your hair with rollers. Pin down the curls in the front. Tie the rest of the hair at the back in a tight bun. 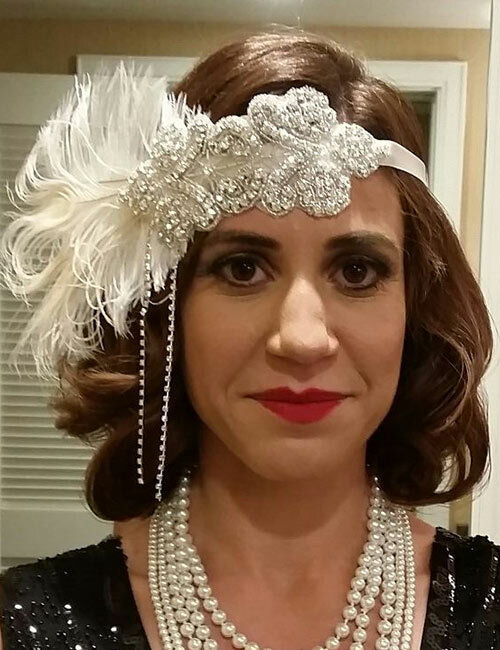 The feathered headband was the flappers’ go-to hair accessory. You’d always see them sporting this headband with a shimmery dress, much like the dress Emma Stone wore when she won an Oscar for La La Land. Notice how the top is perfectly waved but the ends are sculpted in curls. This was a popular long hairstyle that was sported by most college-going girls at that time. They’d pair this look with a scarf and flare dresses. The bob was big in the ‘20s, but this short bob took on a life of its own. 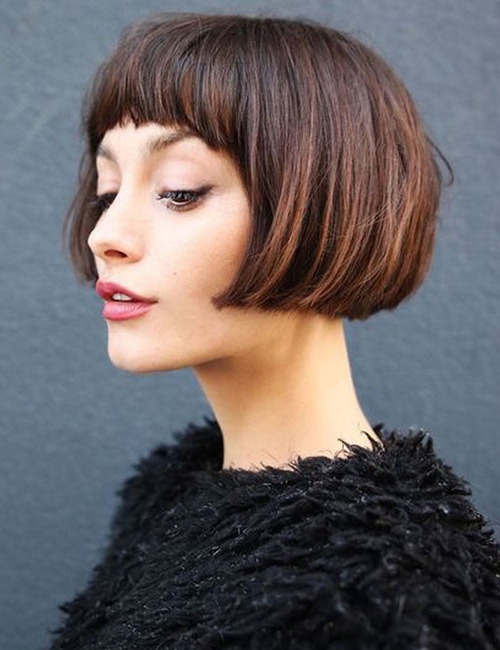 The cheekbone-grazing length of this bob helps in framing your face. Since it ends between the cheekbone and the jawline, it makes your face look more sculpted. The barrette was another big accessory in the ‘20s. It was mainly used to accessorize curls. It automatically added an elegant touch to any hairstyle. It was mainly worn at parties. The bejeweled headband was the tell-tale sign of a dancer. Apart from dancers, many women sported a bejeweled headband as a celebratory accessory. You can wear it with curls as well as straight hair. The cloth cap was straight-haired women’s best friend. 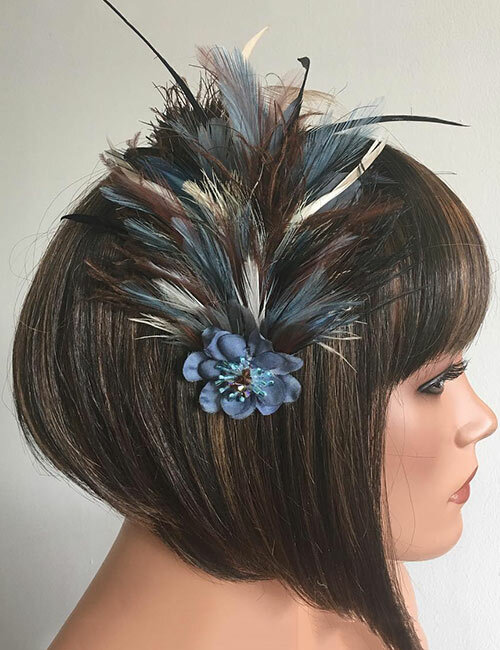 Women with short straight bobs would often use this cap to accentuate their hairstyle and makeup. Since the cap covered most of their locks, they focused on styling their ends. This, in turn, helped in framing their face. The rich and famous flaunted flamboyant designer hats, much like the one pictured above. You can see a slight veil at the front of this hat. It added a touch of mystery to the overall appeal of this hairstyle. The straight bob was another famous hairstyle of the ‘20s. 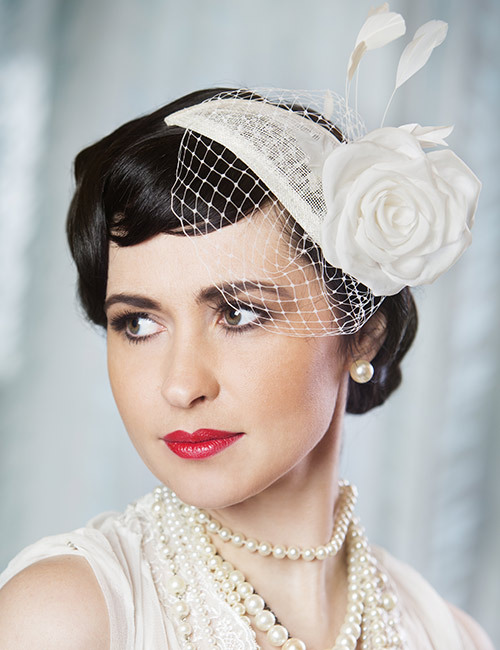 If you’re having a vintage party, chances are many women will walk in with this hairstyle. It’s still a big trend now, though it is usually sported with some modern twists. If there’s one thing we know about hairstyling trends in the ‘20s, it is that feathers were big. As eccentric as you may think it looks, the center feather band was a very common accessory back then. It was mainly worn with curls. Big soft curls were all the rage even back then, and they were usually sported by housewives rather than flappers. They were considered to be a simpler and more domestic hairstyle. Side-swept waves are making headlines even now. This hairstyle is a classic that you’ll definitely see at least once at every red carpet event. Use velcro rollers to curl your hair and add a retro touch to this look. Yes, those Hollywood waves you see almost every actress sporting is a vintage hairstyle. 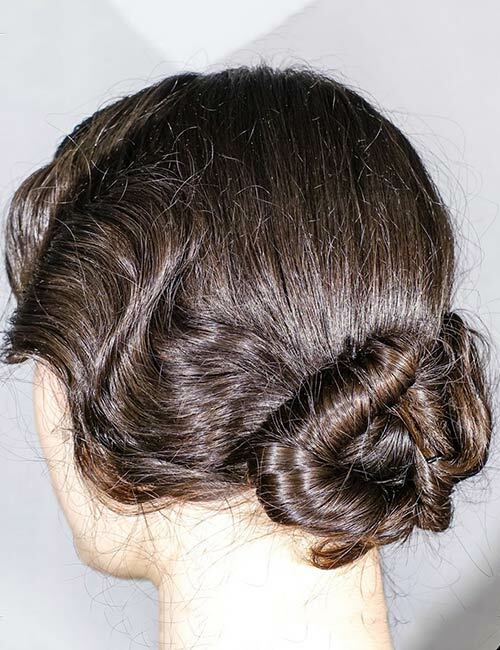 The ‘20s were big on sculpted hair, meaning they planned the position of every curl and made sure it was in place. Stunning, right? The side sweep is a classic look that many of us love even now. It frames your face beautifully and can make your hair appear thicker too. It also looks uber stylish and elegant. As I mentioned before, the ‘20s were big on sculpted hair. You’ll notice that most of the sculpting was done in the front. The waves in this hairstyle look flawless. Keep in mind that you’ll need to spritz on a generous amount of hairspray to set these curls in place. Every woman who lived back in the ‘20s and had short hair definitely sported these rolled bangs at least once in her life. Roll your bangs with the help of a round brush and a blow dryer. Spritz on some hairspray to prevent them from unraveling throughout the day. Perfectly rolled ends was another popular hairstyle for long hair in the ‘20s. This made the hair look shorter while adding a sleek touch to it. 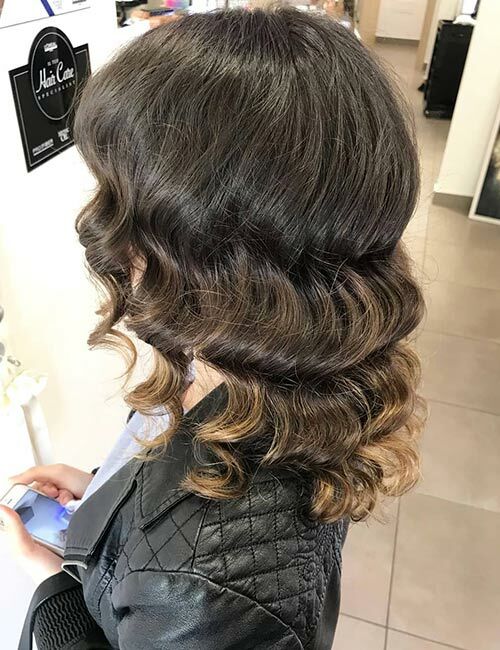 The top half of the hair was usually left straight while the bottom half was curled. The angled bob was created in the ‘20s. However, it wasn’t as angled as some of the bobs you see nowadays. Nevertheless, it made a huge impact on the hairstyle world back then. It then went out of style for a few years, but it’s back with a bang now. That was my list of the top 20 hairstyles that were famous back in the ‘20s. Since short hair is trending big time right now, which of these ‘20s short hairstyles would you like to see making a comeback? Comment below and let me know!